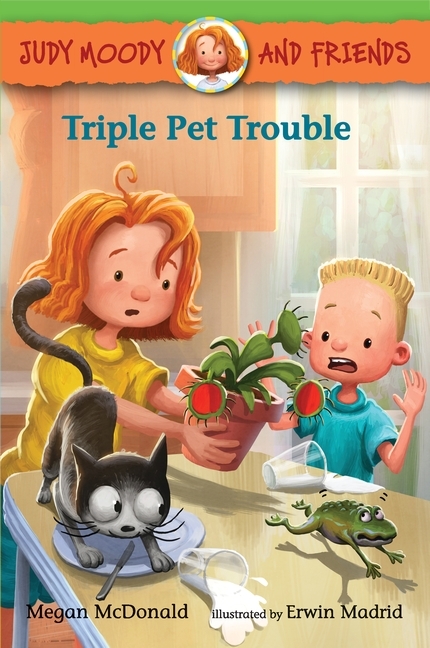 Dr. Judy knows a sick pet when she sees one, and Jaws the Venus flytrap is for-sure sick. Time for some urgent care and first aid! Judy Moody, pet vet, will never rest in her efforts to nurse Jaws back to health. In her quest for a medical miracle, Judy finds herself wrangling an unruly toad and seeking help from Mouse, the mind-reading cat. Nothing will stand in the way of Judy’s search for a cure. Not even the fearsome Carnivoria vampira! From Megan McDonald comes this selection of three mini-stories just right for luring young readers into the Moody universe.